Wristwatch brand "GUESS". There were problems with a strap in leather search terms for the strap. It turned out what happened. 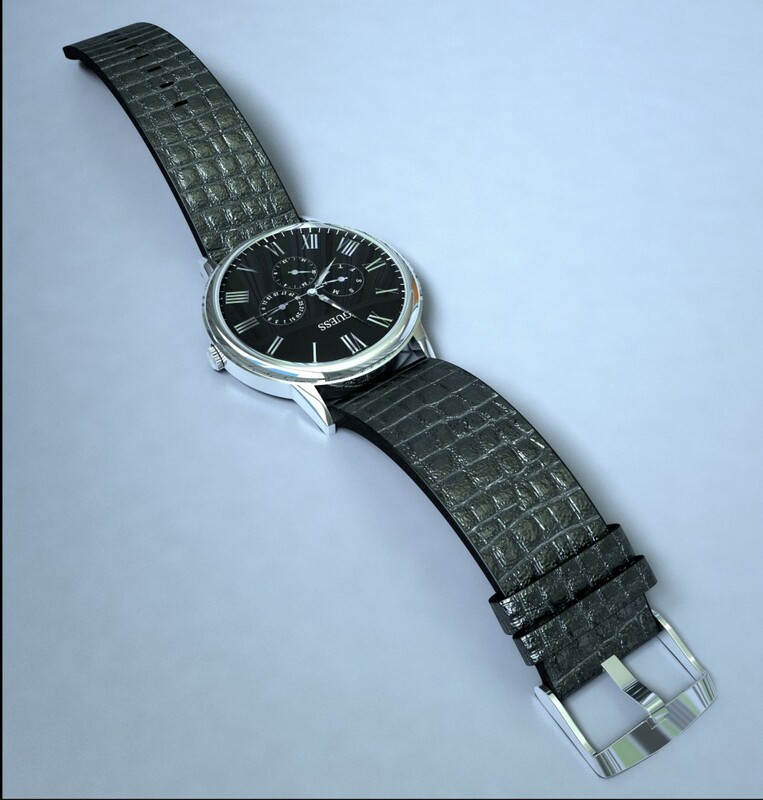 I would like to get an adequate criticism of the work as a whole, as general I began to use 3ds max just 3 months ago.